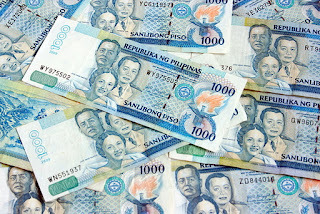 According to official figures, the Philippine economy has grown by 3.4% on the second quarter of 2011. Although the economy is growing, this growth rate is far from the 7-8 % target by the government. The growth target was set to this level because economists believe this is the rate the country needs to grow in order for the people to experience significantly better lives. Last year was a good year for the economy which met the target driven by election-related spending. But this year was not an election year anymore. The country has a new leader with the election of President Noynoy Aquino. His campaign won on the promise of fighting graft and corruption in government. This promise was well-received by Filipinos who were fed-up by the blatant corruption of the previous administration. After winning, he did not disappoint by going after crooks from past and present. The hope was that this would encourage more investment since a fair and honest government was believed to be an essential ingredient for investors’ trust. But so far, this has not worked as planned. The Philippines continues to struggle to attract foreign companies to invest in the country. The Congress has now gone as far as working towards amending the Constitution’s economic provision to remedy the hurdles facing the country’s economic leap forward. The president, however, is not too keen on this proposal. Amending the Constitution has proven to be an unpopular undertaking which backfired on those who tried to do it. Although I believe he is wrong on this, the President could be avoiding the controversy associated with Constitutional amendments. The most common criticism is that the President who proposes an amendment just wants to prolong his term. President Aquino will not be subjected to such a criticism if he goes with just the economic provisions. If he would not allow it, Aquino should tell the people why he will not do a thing that may make everybody’s lives better. There is global unease right now about the state of economies everywhere. Europe has been dealing with its dire fiscal situation with debt mounting for Greece, Spain and Italy. The US, which currently faces tough challenges on unemployment, might go into a double dip recession if and when several European countries default on their debt. This leaves the Asian countries as the least risky bet for the world economy. Interestingly, the Philippines did not have a recession when the global financial crisis hit in 2008. Think tanks are giving the country the same resilient assessment even if faced with another financial crisis as severe as before. Even so, Filipinos will feel the effects of another financial catastrophe. I have surely felt it when I lost my first job when the company I worked for decided to end its operations in the country partly because of the crisis everybody was facing. I believe the economy is something we should monitor closely because, even though we can’t do anything significant to change how it goes, we can prepare ourselves to possible crises that are likely to occur or maybe take advantage of the opportunities a boom will create. Something that investors look out for is the state of the stock market. They wish to know where it is headed so that they can make better investing decisions. As it looks right now, the stock market is unstable. Many fear that it is about to dive soon triggered by the debt crisis in Europe. Whatever happens, the important thing is to always prepare as much as we could. We can try to anticipate events that may occur in the future if we make the effort to be aware of things that are happening. We can also think of ways how we can protect ourselves from the bad things that may happen or even profit from the opportunities that challenges will surely create.